This is the best Fozz picture I have at the moment _ can I have an avatar please? Thanks. 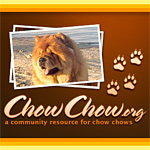 That photo has been added to the Members Chow Chows 04 (Large) avatar gallery for your selection, enjoy!